If my computer is destroyed and my license is lost can I recover my protected folders stored in my safeguards? YES : Just install a free version of the program on your new computer. 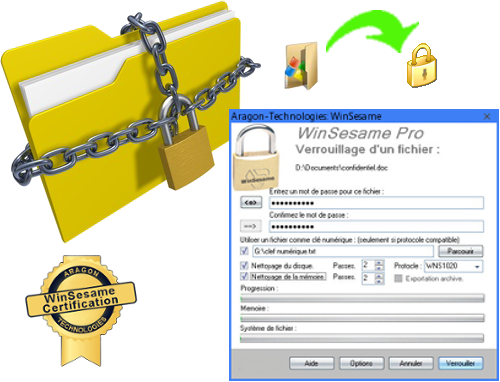 The free version is limited only for the locking of folders but not for their opening so that it is always possible to open a big WinSesame folder with the free version. It is a safety feature against loss of data in the event of unavailability of a registered version. You will always be able to recover your data with a free version of the software (which it is advised to save somewhere). Your data is not dependent on the supplier of the software.